Bongs are one of the most popular forms of consuming cannabis. Bongs, also known as water pipes, billys, or bingers, are so ingrained in cannabis culture. In simple terms, a bong is a type of water pipe generally used to smoke marijuana. Bongs come in many shapes and sizes, with the most common version being hand-blown from glass. The bong consists of a bowl, carb, down stem, base, and a tube. The base of the bong is the water chamber in which the smoke cools as it passes through the water. For a sense of entertainment, friends like to trick each other into drinking the water by telling them it will make them become higher. When in reality, it won’t do anything at all besides cause you a stomachache. 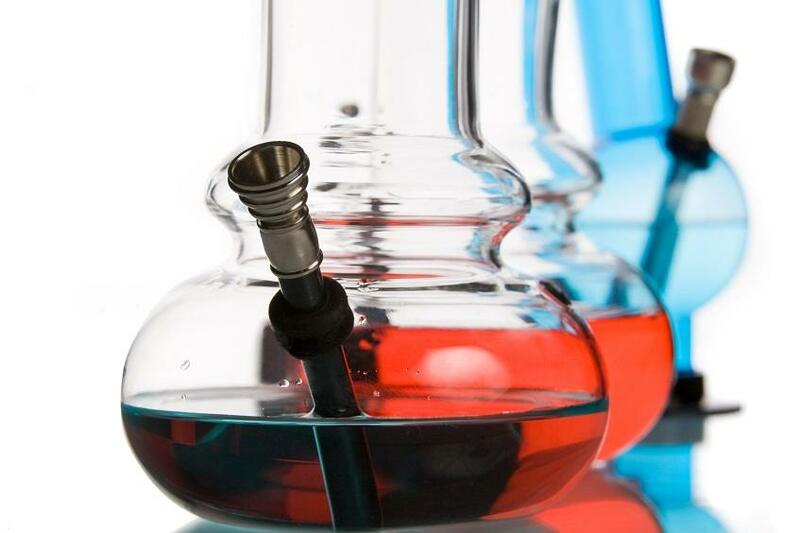 The bong water is not meant to be drank, it specifically is only meant to trap toxins and water – soluble molecules to prevent them from entering the airways. What is the Purpose of Water in Your Bong? The purpose of bong water is ultimately to act as a filter and cool the smoke. As one of the most important parts of your bong, the water chamber creates smoother hits to make your smoking experience supreme. Bong water also serves an important role to filter out a lot of the carcinogens, which are the bad chemicals you don’t necessarily want in your body. If you want an optimum smoking experience, you should choose the bong mainly because of its water base that filters the smoke making every hit pure and crisp. Not only is the water filter a plus to smoking from a bong, but also the bong creates an overall more intense and enjoyable experience. This is because the water filters out the undesirable chemicals, so your receiving clean and pure THC. Studies prove that water filtration can reduce the chance of inhaling cancer – causing compounds, and helps the inhalation become easier and less irritating for the airways. What most people don’t know, there are alternatives to smoking with water – a more pleasant smoking experience! Experiment with using hot tea (preferably flavored), cranberry juice, Gatorade, orange or lemon peels, iced tea, wine, and Kool-Aid! The common myth of drinking bong water is that it will get you high. People like to entertain themselves by convincing their friends that by drinking the water they will intensify their high experience. The truth is, drinking bong water will not get you high, but it will probably make you feel very ill. This old urban legend that drinking bong water will get you high is false, as THC, the psychoactive compound in cannabis, is not water-soluble. The most common symptoms caused by drinking bong water is becoming sick with vomiting and a stomachache. No, drinking bong water cannot kill you, but it will taste horrible and will not be an enjoyable experience. It is proven to not be harmful to the body; however, it isn’t beneficial to drink it either, so you’re better off never trying it. Even Urban Dictionary recognizes this as a myth, and explains that it contains absolutely no THC because it is not water soluble, and to refrain from drinking the water. Don’t be that guy that lets his friends trick you into thinking drinking bong water will get you more high – Lies! No, you are not seriously harming your body, but you do not want to drink it. From personal experiences, people have described it to be the most disturbing taste and create unsettling nausea and stomachaches. 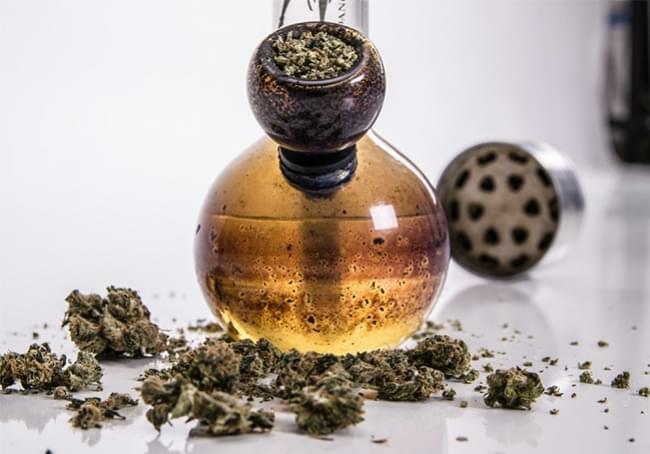 Some say the water is clean if you clean your bong often enough – however, the particles inside the water are just cannabis residue. Others try to use the particles left in bong water by evaporating the water and try and keep the resin – however, it is not worth the effort. Whether you are drinking the bong water or trying to use the particles left in it, you are better off tossing it down the sink. Try and avoid drinking bong water at all costs, because it will cause major discomfort to the body, the taste is repulsive, and it is an overall awful choice. 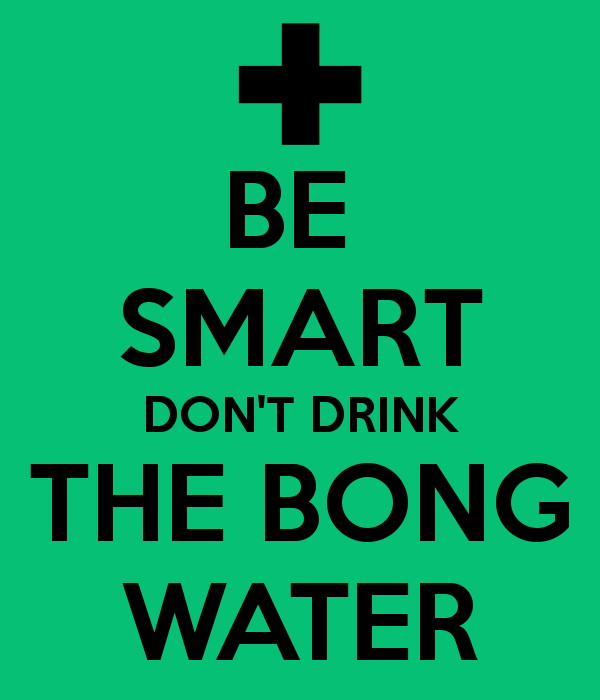 Do yourself a favor and avoid drinking bong water at all costs, keep your smoking experience clean and enjoyable by sticking to the habitual way of creating a great high. If you have fallen for this trick, however, don’t feel bad – you certainly would not be the first person to be persuaded to drink bong water for the prospect of getting high. Some have reported from personal experience that they had severe stomach cramps that lasted hours, and others have said it caused immediate vomiting and a headache that could last all day. Those who have decided to drink bong water also said that it tastes like charcoal and cigarette butts – no thank you! The reason for these effects is the fact that bong water contains the filtered toxins and particles, and even mold if the base has not been cleaned properly. This prank is commonly played on first time weed smokers, and has slowly become an urban legend over time. Be careful. Just because there’s a popular movie called “Bongwater” doesn’t mean that drinking it will be anything other than a completely negative experience! Don’t think twice – toss that water out every time and make sure you are properly cleaning the bong’s base. Photos from: leon_traut / depositphotos.com.